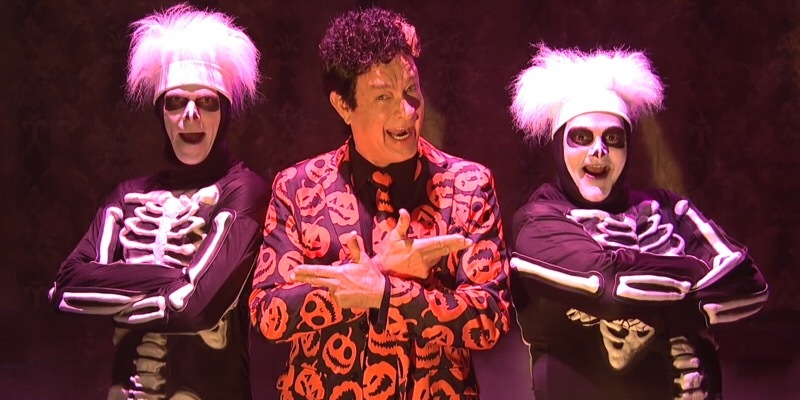 It’s really unexplainable, but for some reason Tom Hanks starring as David S. Pumpkins in a Halloween skit on Saturday Night Live has lit up the Internet. You can’t even point to why it’s so damn funny, but it is strangely, weirdly funny, and even more funny with the odd skeletons as his backup dancers. 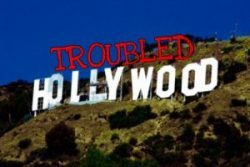 But what’s even more funny is a Twitter user has done a short video inserting David S. Pumpkins into some of the most terrifying movies ever. And frankly, once you put his smiling mug and his dancing skeletons into these scenes, they will never be scary again. He accidentally deleted his viral tweet, but you can find view the video below.